White Lake is a 2,571-acre inland lake along the West Michigan shoreline in Muskegon County, Michigan. The lake touches the cities of Whitehall and Montague and their surrounding townships. White Lake is connected to Lake Michigan via the White Lake Channel, which is a dredged canal with a pier to allow ships and large boats to go in and out freely to Lake Michigan. 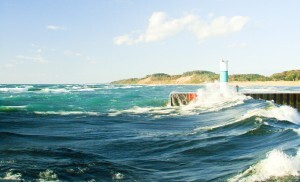 White Lake is a beautiful lake on West Michigan’s shoreline coast. Both the Whitehall and Montague side of the lake feature spectacular bluff lots that sit far above the water level to give an absolutely beautiful view of the lake and the surrounding landscape. If you are looking for a great all-around lake for boating, fishing, recreation, and amenities, it’s going to be hard to beat White Lake. 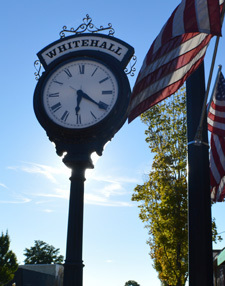 The White Lake Area is combination of the two neighboring cities, Whitehall and Montague. Both of these cities have various arts and cultural festivals that work in cooperation with each other. The Howmet Playhouse is a unique 400-person theater that puts on a season of theater every summer. Montague has a weekly famer’s market downtown during the summer that is a big attraction with the locals and visiting tourists. There are many festivals throughout the summer season, some of which include the White Lake Area Arts and Crafts Festival, a Maritime Festival, a Classic Car Show, a Chamber of Commerce Music Festival, among others. The White Lake area is proud to consider itself a part of Michigan’s vast community of lighthouses around the Great Lakes. On the south side of the White Lake Channel, the historic White River Light Station and Museum stands, originally build in 1875. 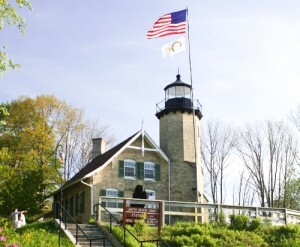 Here you will be able to discover more about the White Lake Area’s history as a logging community during the 1800s, and during the spring, summer, and fall seasons you can climb up to the top of the lighthouse and overlook the White Lake Channel and Lake Michigan. What a spectacular view! If you are interested in homes on White Lake, be sure to check out our full White Lake listings page. There you will be able to find all of the current properties available. If there is anything that interests you or a property that you would like to take a look at, please fill out our contact page or give us a call. We would be happy to set up a walk through the house for you.